Playing in 40-degree temperatures at about 6,500 feet of altitude, the RGV FC Toros were unable to break the ice with their first win of the season, falling 2-1 to Colorado Springs Switchbacks FC on Saturday at Weidner Field in Colorado Springs, Colorado. RGV FC drops to 0-1-2 with two points on the year, while Colorado Springs improves to 2-3 with six points, snapping a three-match losing streak. RGV FC won possession 56.8 percent to 43.2 percent but rarely generated quality chances. The Toros put just two shots on goal in five attempts, while Colorado Springs put three shots on target out of eight total. Switchbacks FC also held an 8-4 edge in corner kicks. After a quiet first half, Colorado Springs opened the scoring in the 63rd minute. Josh Suggs took a free kick from about 25 yards out on the right half of the field and sent a low, curling shot into the left side of the net on a bounce. The Switchbacks quickly extended their lead, scoring when Jordan Burt fired a penalty kick into the top-left corner of the net. RGV FC’s Conor Donovan was called for the foul while attempting to defend Tobenna Uzo one-on-one as Colorado Springs surged forward on the counterattack. RGV FC scored its lone goal of the match in the 81st minute. Victor Garza triggered the attack, sending the ball to Jesus Enriquez on the right side of the penalty box. Enriquez flicked a low cross toward center, where Aldo Quintanilla headed it home from point-blank range. 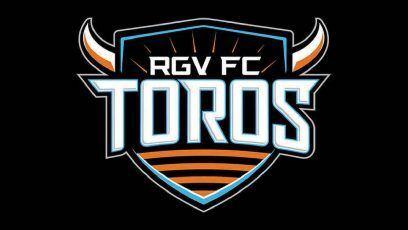 RGV FC plays the second leg of its three-match road swing on April 14 at Seattle Sounders 2.